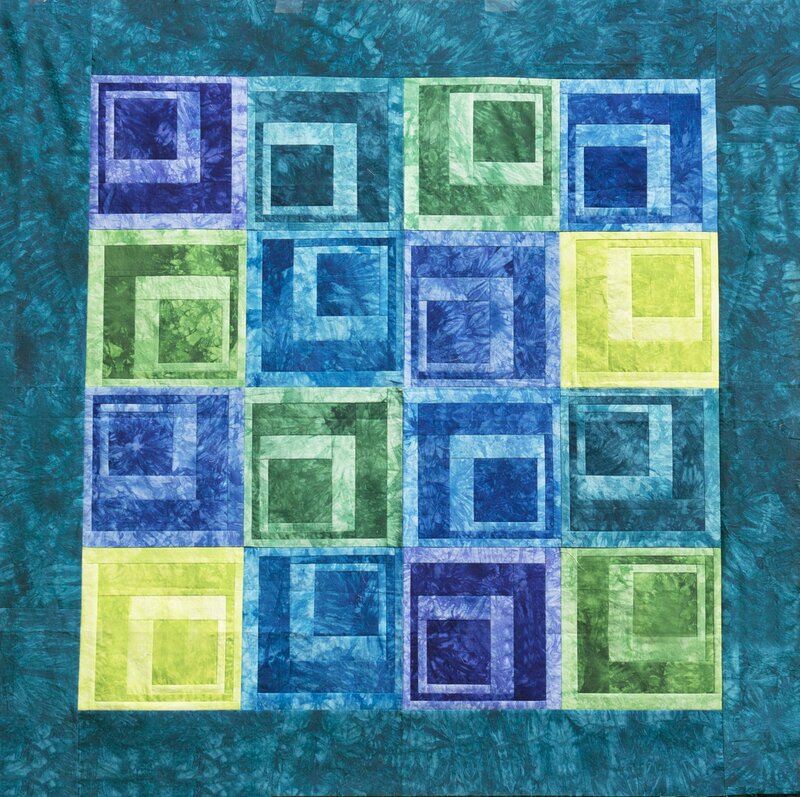 The simple blocks in this quilt are designed using the log cabin method. They are very easy to put together. Our sample is the Wall size and finishes 48" x 48". Kits are designed in Jewel tones with the larger sizes also including more shades into the pink and purple. If you check our fat quarter bundles, each size has varying shades. To create your own color way choose from the links provided below by the size you like. Wall ~ Dye-It-Bites 8 Pack, one light and one dark plus 1 1/2 yards. Crib ~ Dye-It-Bites 12 Pack, one light and one dark plus 1 1/2 yards. Throw ~ 8 Pack Fat Quarter Bundle, one light and one dark plus 2 yards. Twin ~ 12 Pack Fat Quarter Bundles, one light and one dark plus 2 yards. Queen ~ 20 Pack Fat Quarter Bundles, one light and one dark plus 2 1/2 yards. King ~ 30 Pack Fat Quarter Bundles, one light and one dark plus 3 yards.